With the mango season going I wanted to make a couple of desserts with it. Yesterday it was Mango Fruity Delight and for today it is a Jello. 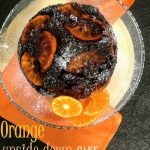 I am making these desserts under No Bake Desserts. 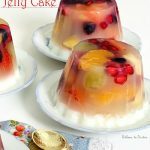 Jellos are normally made with gelatin , but here I have used agar agar and made it pure vegetarian. Agar agar is a natural sea weed and is pure vegetarian substitute for gelatin. It has lots of fibre and no flavor, so one can use it to make any flavored dessert. 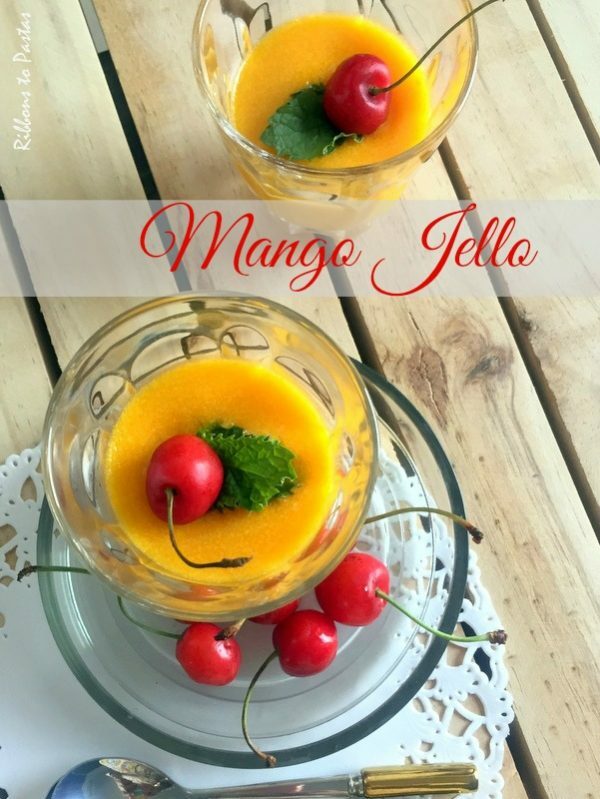 The Mango Jello is a very light dessert and all mango lovers would like it. Serve it chilled, yes I always serve my desserts chilled as they taste best after chilling. Soak the agar agar strands in water for 5-10 minutes. Boil the water and agar agar strands, let them dissolve completely, if you feel the water is less you could add more. Add mango puree and sugar if needed. Pour into cups or glasses. The dessert will set as soon as it reaches the room temperature. Place it in the refrigerator for a couple of hours. Serve chilled. One can avoid sugar as mangoes are sweet. To make it sugar free you could add sweetener. Mango pieces could be added while pouring into cups. 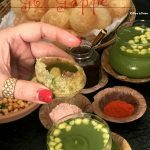 This month I am participating for the first two weeks , but friends do come back in September where we have a Mega Marathon called Cooking Carnival.This will be a marathon where we shall choose either one ingredient /category for the whole month or choose different ingredients and category over different weeks.So don’t forget to come back ! My all time favourite.. Jello rocks. My mouth is watering here. Another mango dessert!! Yum!! I envy you all in India. Though we get mangoes here, those are not anywhere close in taste to the ones we get back home. same pinch. Love these jellos any time. Wow such an amazing looking mango jello.